Members in attendance were: Patty Topp, Tristan Taquino, Al Donovan, Mark Council, Rocky Rutter. Treasurer's Report: Savings has $5400 balance without the timing system purchase. Mark Council motioned to accept, Tristan T. 2nd, motion passed. Solo report: Wireless timing system with discount should run approximately $972. Patty Topp motioned to accept, Rocky Rutter 2nd, motion passed. New Business: Discussion began about using a site like Survey Monkey for E ballots to simplify election process and reduce costs. Old Business: Ira Topp and Tristan Taquino completed solar panel and LED lighting installation on trailer. Members in attendance were: Al Donovan, Mark Council, Tristan Taquino, Danny Thomas, Darci Sharp, Kasey Davis, Greg Blocker. Motion to accept minutes for January, Tristan Taquino 2nd, motion passed. Treasurer's Report: checking $5329.15, savings $8176.46.total p/l for 2014 after banquet and trophies was a loss of $2248.19. Mark Council motioned to accept, Collin Moore2nd, motion passed. Solo report: Event #1 is 3/29/15, we will have a test and tune day Saturday 3/28. We would like no more than 30 cars out on Sat. Fee for the weekend will be $80 for non members, and $65 for members. Only Sunday”s runs will count for points. Timing system is on order. Mark Council motioned to change PAX classifications. X will indicate Race Tires, and T will be Street Tire. Al Donovan 2nd, motion passed. Al donovan suggested small pointer cones to put on top of apex cones. In the next few weeks (2/16 ish) we will do a trailer inventory and check on helmets, forms, waivers, etc. Contact Scott Bauman for 2015 stickers. Mark Council motion to accept Solo report, Darci Sharp 2nd, motion passed. New Business: Mark Council motioned for Greg Blocker as 9th board member, all in favor, welcome Greg! Mark Council motioned to amend procedure to amend ballot procedure, and by-laws. Darci Sharp 2nd motion passed. First event is 3/28-3/29, first day is test and tune for no points! 8:15 Motion to close, darci Sharp 2nd. Members in attendance were: Rocky Rutter, Tristan Taquino, Danny Thomas, Kasey Davis, Darci Sharp, and Greg Blocker. Motion to open @ 7PM. Darci Sharp 2nd. Savings Account $8177.28 motion to accept. R. Rutter, Kasey 2nd. Old Business: Trailer Supplies and Inventory check. TBD on next convenient fair weather day. Website link/ domain name to make Gaskette Gazette more visible. “OKSCCA.com” is available. $20/ month for raw hosting. Darci Sharp motioned to allow Kasey Davis access to modify website. Danny Thomas, Rocky Rutter 2nd. Motion accepted. New Business: Darci Sharp motion to obtain 1000 business cards and 500 post cards. Not to exceed $300.00. Rocky Rutter mot. To accept, Kasey Davis 2nd. Motion passed unanimously. Discussion to amend by-laws to allow electronic voting will be continued at next meeting. 8:00 PM Greg Blocker motion to adjourn, Darci Sharp 2nd. Meeting ended. NEXT MEETING IS ON APRIL 6TH, 7PM. Same place. Members in attendance were: Kasey Davis, Mark Council, Greg Blocker, John Ederer, Danny Thomas, Collin Moore, Darci Sharp, Rocky Rutter, and Tristan Taquino. Mark Council motioned to open at 7:15, Tristan Taquino 2nd. Mark Council motioned to accept, Darci Sharp 2nd. Solo Report: W.B. Cephus won ESP in Texas. Old/ New Business: New area to be visited and evaluated. Kasey Davis to get access to gasketgazette.org. Send R. Rutter an email to adjust access. Mark council motioned for magnets, event stickers, and annual stickers. 150 1st thru 3rdmagnets. Not to exceed $300.00. John Ederer 2nd , motion passed. Mark Council motioned to have Darci Sharp peel OKSCCA.COM from trailer. Tristan Taquino 2nd, motion passed. Event #4 will be a joint event for OKSCCA and NEOKLA, held at the Tanger Outlet parking lot in Stroud. Event #3 will be held on 4/26/2015 at Remington. 8:05 Darci Sharp motioned to adjourn, all in attendance 2nd. Members in attendance were: Al Donovan, John Ederer, Danny Thomas, Darci Sharp, Stephen Sharp, Greg Blocker, Rocky Rutter, Kasey Davis, Collin Moore, and Steve England. 7:10 PM Darci Sharp motioned to open. Greg Blocker 2nd. R. Rutter, C. Moore, K. Davis, G. Blocker, and D. Thomas voted aye. Kasey Davis motioned to accept report, D. Sharp 2nd. New/ Old Business: John Ederer mentioned that a race trophy was not given out. Collin said that was business for ARK Valley and he would get in touch. Kasey Davis mentioned obtaining the domain OKSCCA.NET which would be a direct link to gasketgazette.org. Greg Blocker inquired about any Solo supplies, Darci said she would get flour, and wristbands over the next week. Stephen Sharp suggested having region shirts made. All in attendance said they would be interested. Darci Sharp will create a design and get a quote for 30 shirts. Annual tech inspections and perhaps an Al Donovan hosted Tech Inspector Class. Rocky Rutter asked for the region's government registration information. Collin Moore offered to forward all info from race, solo, and region to create a monthly newsletter. He also asked that email addresses be collected in a more streamlined manner at Solo events. Race Report: nothing to report. Solo Report: Last event had 49 entries, and netted $395.24. Next event (#3) is on May 17th, and the event after that is the joint event for OKSCCA and NEOKLA regions that is going to be hosted in Stroud at the Tanger Outlet parking lot on May 31st. Mark Council will be doing the timing and scoring, and NEOKLA will be handling the registration via motorsportreg.com. Darci Sharp motioned to adjourn at 8:06PM. 2nd by all in attendance. 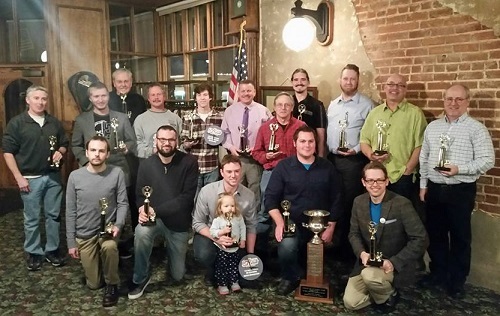 Members in attendance were: Collin Moore, Darci Sharp, Danny Thomas, Rocky Rutter, Greg Blocker, Tristan Taquino, John Ederer, Mark Council, Al Donovan. Treasurer's Report: Checking $6681.66, savings $8178.10, as of 5/17 we netted $258.00. Motion to accept report Marc Council, Darci Sharp 2nd, motion passed. New Business: Tristan Taquino will not be attending many events this season if at all so we need to train some people to do the technical inspections at events. Loaner helmets will begin to expire at the end of this year. It was discussed that we rotate expired helmets out and bring in new instead of purchasing all at once. Mark Council motioned to accept, Rocky Rutter 2nd, all in favor, motion passed. Collin Moore will do some research on pricing for walkie talkie headsets to replace as some of our handheld units are beginning to break down. Mark Council motioned to accept, Rocky Rutter 2nd, motion passed. Rocky Rutter said he will research/ reissue Technical Guidelines, and Annual Tech. Inspection was tabled until 2016. Old Business: Triumph event coming up is a non SCCA event. Contact Mike Pickett for 2016 event! We need to take a look at the by-laws in an upcoming meeting to progress further on having online registration and E-Ballots for voting. 8:10 Motion to adjourn. Darci Sharp 2nd, meeting ended. Members in attendance were: Mark Council, John Ederer, Rocky Rutter, Danny Thomas, Collin Moore, Tristan Taquino, Greg Blocker. Treasurer's Report: After event #6 Checking $6824.07, and savings $8178.77. There was a net profit of $346.20 after last event. Tristan T. motined to accept report, Greg B. 2nd, all in favor report accepted. Solo Report: SCCA Divisionals: WB Sephus took 3rd ESP, Meredith Evans took 4thESP, Danny Thomas 3rd DP, Zack Baumgardner 1st SM, Bob Seelig 1st STS, Collin Moore 1st CM, and Zac Blocker 2nd CAM. Registration for event at Lincoln will open July 28. Old Business: New venue at Edmond Fire Dept. training center. Capt. John has confirmed a date for us to have an event excluding first timers for August 9th. Total cost for the event including pavillion, facilities, and cooking grills is $400.00. Motion to make this a memorial event to waive sanction fees, MC 2nd, all in favor , motion passed. New Business: Doc Brown and Keith Voyles attended our meeting with news about AVRG. There was a conference call for Regional executives and on the call St. Louis region and Southern Illinois mentioned they may petition to leave Midwest and transfer to the Central Divison. According to Lisa Noble they must separate and re apply to the Central Division. This affects us because there could be a possible domino effect (Tennessee, Arkansas, etc.). Motion to elect Keith Voyles as Proxy for our region. Mark Council 2nd, all in favor, motion passed. Mark Council is to call Betty to appoint Keith Voyles. Gary Brown will review will review procedures and advise Mark Council as to progress. We will be discussing what to do and who to talk to if the recession moves forward. Worst case scenario is that the Midwest Division dissolves, then we apply to become part of the Southwest Division. Next event is at the Edmond Fire Training Center on August 9th. Then we are back at Remington August 30th. 8:40 motion to close meeting, motion passed.